We know our culinary graduates are great and now so does the rest of America, thanks to the Food Network. Aristo Camburako, executive chef for the DoubleTree Hotel in Overland Park, specializes in smoking meats and cooking soups and sauces. But when he was chosen to compete in season four of the Food Network’s “Holiday Baking Championship,” he found himself creating elaborate baked goods against some of the best pastry chefs in the business. After multiple Skype calls and a grueling interview process, Camburako was named one of nine contestants. There were about 30,000 applicants. As for his newfound celebrity, he said the DoubleTree had embraced his appearance on the show. 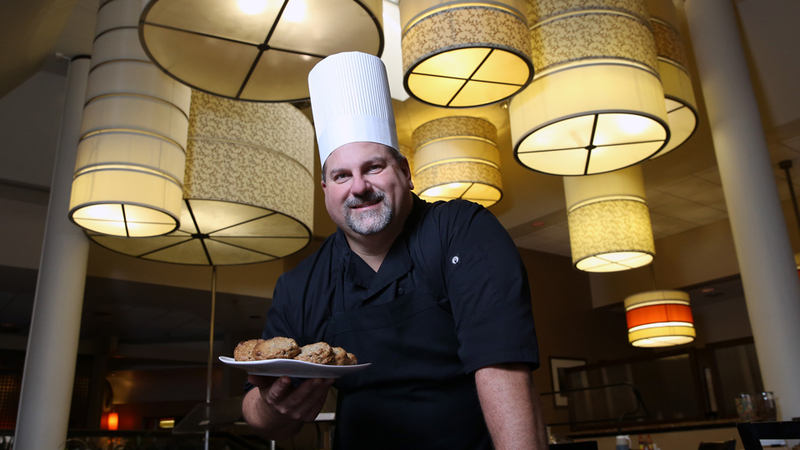 During the holiday season, the hotel has hosted several client appreciation parties where Camburako served dishes he had baked in the competition. “Then I mingled with the crowd, shaking hands, kissing babies and all that,” he joked. Camburako's favorite dish of the six desserts he made was the ginger cheesecake in episode two. There is a personal connection to that recipe, as cheesecake was one of his father’s favorite foods. Camburako lost his father 12 days before the show taped. “My father was an American Culinary Federation certified executive chef. We cooked together for years. He taught me so much,” Camburako said. Although he has spent most of his career working for hotels, Camburako grew up cooking in his family’s restaurants. His passion was to be a fourth-generation chef. “I wanted to be trained by the best, and that was at JCCC. The experience I received in the Chef Apprentice program is second to none. They have an outstanding faculty with great practical experience,” he said. He feels so strongly about the Chef Apprentice program that he is taking on an apprentice at the DoubleTree. 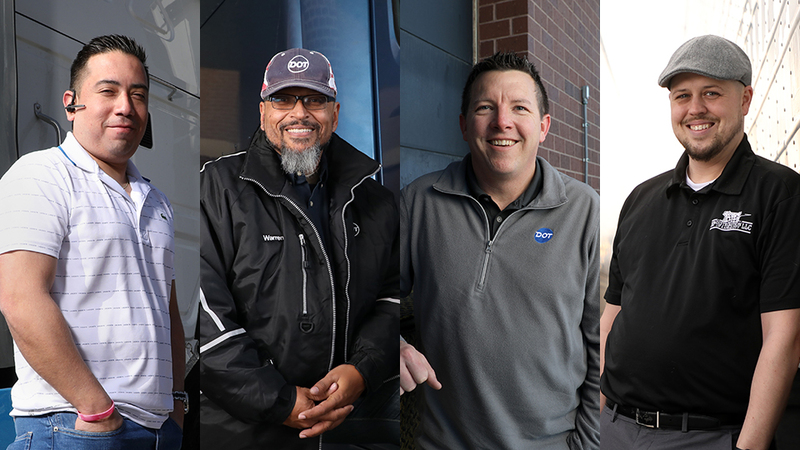 “I’ve always wanted to have a JCCC apprentice because the caliber of its students is so high. And I love to teach,” Camburako said. Season four of the “Holiday Baking Championship” began airing Nov. 6 and runs throughout the holiday season. Episodes and airtimes can be found on the Food Network website. If you want to know how your creativity in the kitchen can turn into a career, check out JCCC’s award-winning Chef Apprentice program.